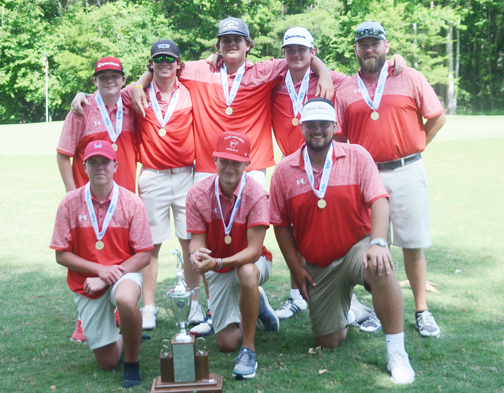 The Bulldogs won their fourth straight state title with a win at Wescott Plantation in Summerville. The Boiling Springs Bulldogs put their team name in the record book by winning their fourth straight South Carolina High School championship. The Bulldogs had won three AAAA titles in a row and after being reclasiffied into the new AAAAA division they kept winning. The Bulldogs might have actually won the tournament in the very first round. 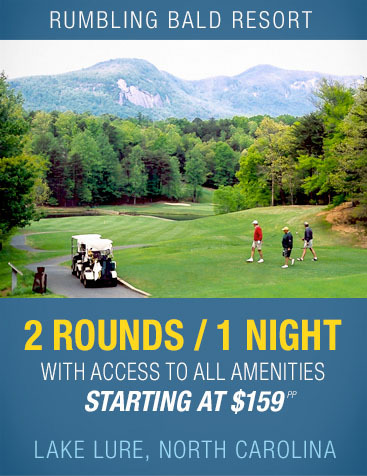 The AAAAA tournament consists of a 36 hole day and then an 18 hole final. In the very first round the Bulldogs shot 285 total to hold a 24 shot lead over arch rival Gaffney. 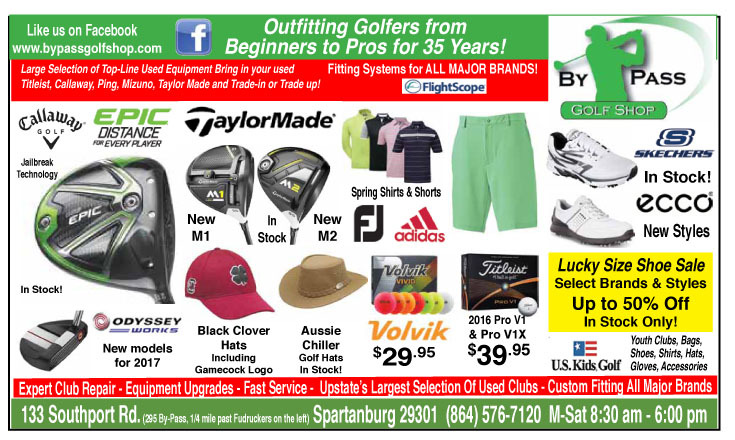 Boiling Springs golfer Trent Phillips won his third individual state championship. 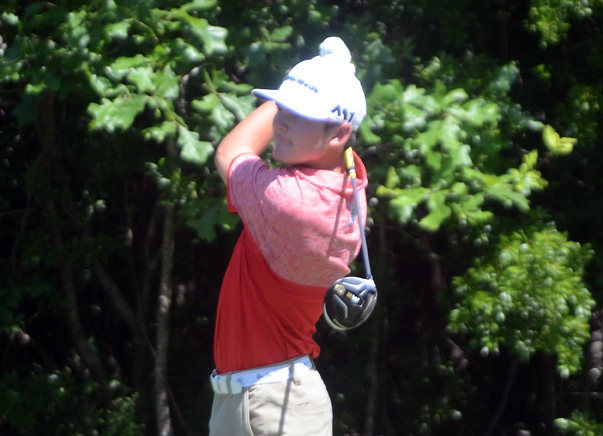 As expected Trent Philips, the two-time SCJGA Player of the Year led the way. 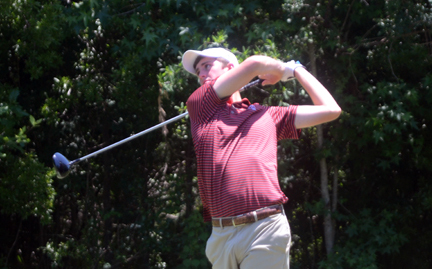 Phillips shot a seven-under par round of 65 to hold a five-shot lead over Colby Patton of Hillcrest High School. The future Georgia golfer had 6 birdies and a chip in eagle to take the big lead. “I guess I am expected to be the favorite,” said the now three time state AAAA champion. “You can’t win every time out, but I wanted to give it my all and hopefully go home with another championship,” Phillips said. Both the individual and team leader backed up a little in the second round played on Monday. Phillips posted his second under par round, this time a one-under 71. Colby Patton of Hillcrest finished as the runner-up in the AAAAA championship. The team however, added 16 strokes to their first round and saw their 24 shot lead cut in half. “We padded our lead a little in the first round and that made everybody a little more comfortable,” said Josh Pruitt the Boiling Springs head coach. “It made everybody feel a little more comfortable, but still anything could happen,” he said. WIth a 12 shot lead the Bulldogs didn’t exactly coast through the final round, but as their coach said there was not a great deal of pressure on the team. Boiling Springs turned in a final round 303 total to finish at 25-over par. Gaffney chased Boiling Springs as they have all year, but the Indians came up short. Gaffney shot an 898 total to finish at 34-over par and nine shots behind Boiling Springs. 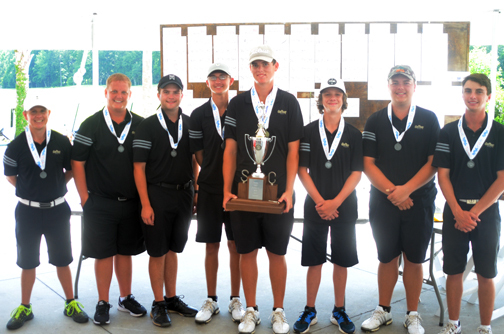 “If you had told me we would have beaten them in two of the three rounds, I would have figured we would have won,” said Gaffney golf coach Brandin Coggins. “We just threw away too many shots in the first round. We just slapped the ball all over the place,’ he added. Gaffney’s Zach Gordon shot three straight rounds of 73 to finish in third place. Phillips closed out his third state championship with a 3-over par 75. 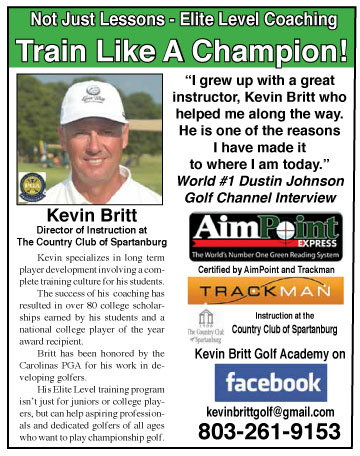 It was not his best round of golf, but it was more than good enough to win the individual championship. “I really didn’t have it today. I never was able to get comfortable over the ball, but it still was pretty awesome to win a third championship and I’m really proud of my teammates. We had a great team win,” said Phillips. The Bulldogs got an All-State performance from their one senior Josh Sprouse. Sprouse was able to finish in a tie for fifth place with Reed Bentley of Byrnes. The two golfers shot 222 totals and both made All-State. “Josh really played well and to make All-State and go out on top like he did is great for him,” said the coach. The Bulldogs also played Harrison Corbin on the All-State team. Corbin led the Bulldogs with a 1-under par 71 in the final round to finish in a tie for ninth place. The fourth win in a row puts the Bulldogs in a small group of teams who have also won four in a row. A.C. Flora won seven titles in a row. If the Bulldogs could win next year they would join McClenaghen, Barnwell and Hilton Head as the only teams to win five straight. The Gaffney Indians finished in second place at the SC AAAAA championship. A win at the late season tournament in Rock Hill and a great victory in the Southern Cross set the stage for putting the Bulldogs back into championship form. “Our guys think of winning the Southern Cross on the same level as a state championship. After we won there we got our confidence back and we showed up at the end of the year,” concluded Pruitt. 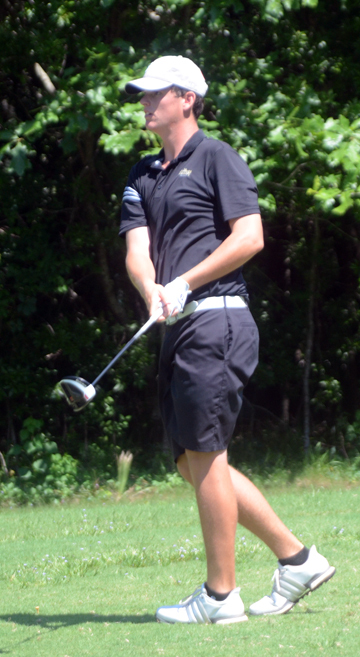 Gaffney’s Zach Gordon shot three straight rounds of 73 to finish in third place and earn All-State honors. Gordon’t teammate Cody Transou finished in fourth place and also made All-State. Thomas Hollingsworth of Dorman was also honored as a member of the All-State team. The AAAAA All-State team included Trent Phillips, Harrison Corbin, Josh Sprouse from Boiling Springs. 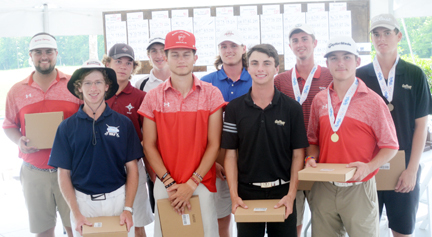 Zach Gordon and Cody Transou from Gaffney, Reed Bentley from Byrnes, Colby Patton of Hillcrest, Nick Mayfield of Rock Hill, Thomas Hollingsworth Dorman, Will Sheppard, Wando. After Boiling Springs and Gaffney Dorman finished in third place with Wando fourth and Lexington fifth. Byrnes finished in sixth place.